Is plaid a color? Because that's my Fall favorite! Apple Cider Hot or Cold? I actually like both. 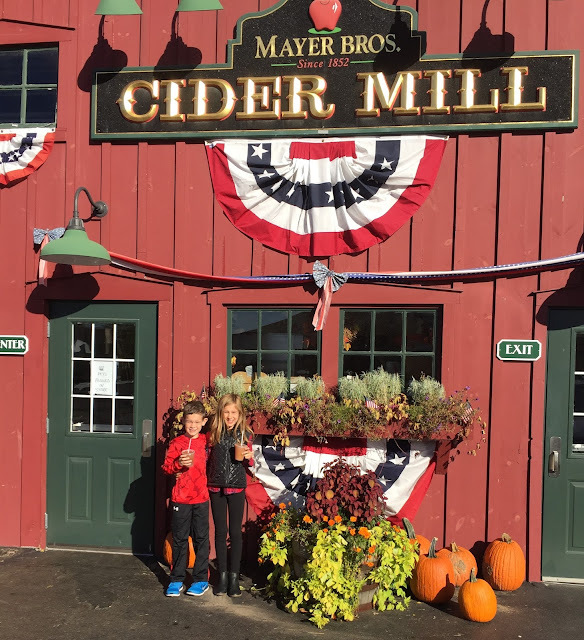 But my kids....apple cider slushies from our favorite Cider Mill! Yes, but I have to eat it at home and cut it into slices. I commend those that can walk around a Fall festival eating them off a stick. I am not that skilled. 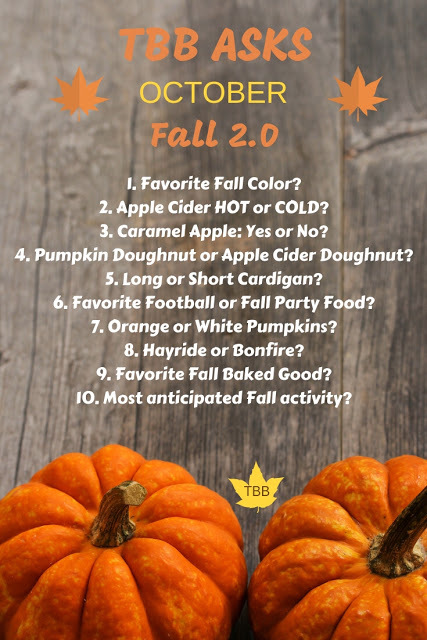 Pumpkin Doughnut or Apple Cider Doughnut? Pumpkin all the way. Preferably warm, while wearing something plaid at a pumpkin patch. Favorite Football or Fall Party Food? These soft pretzels are amazing! I just made them for a party yesterday. You need them at your football parties or Oktoberfest parties for sure! They are perfect with a honey mustard or cheese dip. Grab the recipe here. I love orange pumpkins for carving and Halloween decor. But, this year I brought in some white and muted pumpkins for my Fall decor and am loving it. Anything that includes pumpkin. Especially my pumpkin cupcakes. 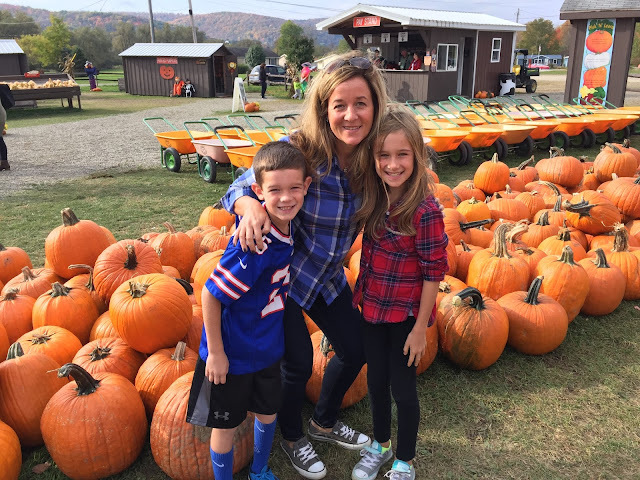 Hands down our visit to the pumpkin patch. 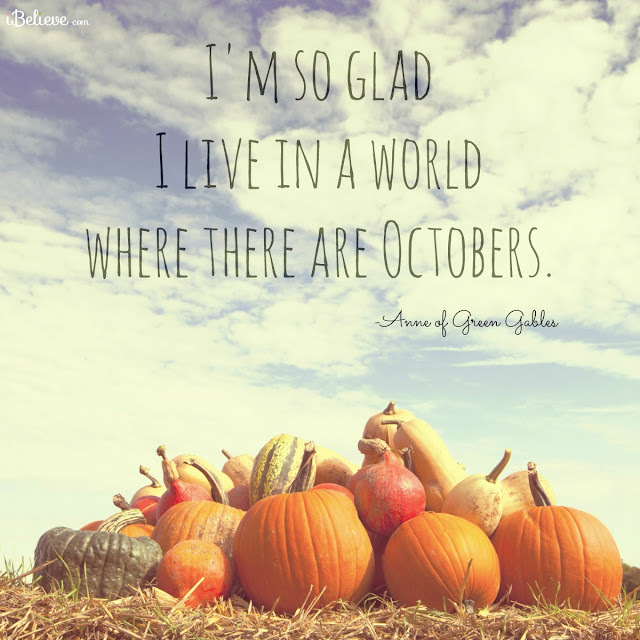 Now what are some of your October favorites??? Those pumpkin patch pictures are too cute! We love cider from the cider mill! It's the best. You have a beautiful family. In my eyes, plaid is a color. Enjoy your week. Apple cider slushies?! Oh I am so jealous! I may have started drooling at that picture of the pretzels. Pinning for later! Thanks for linking up!